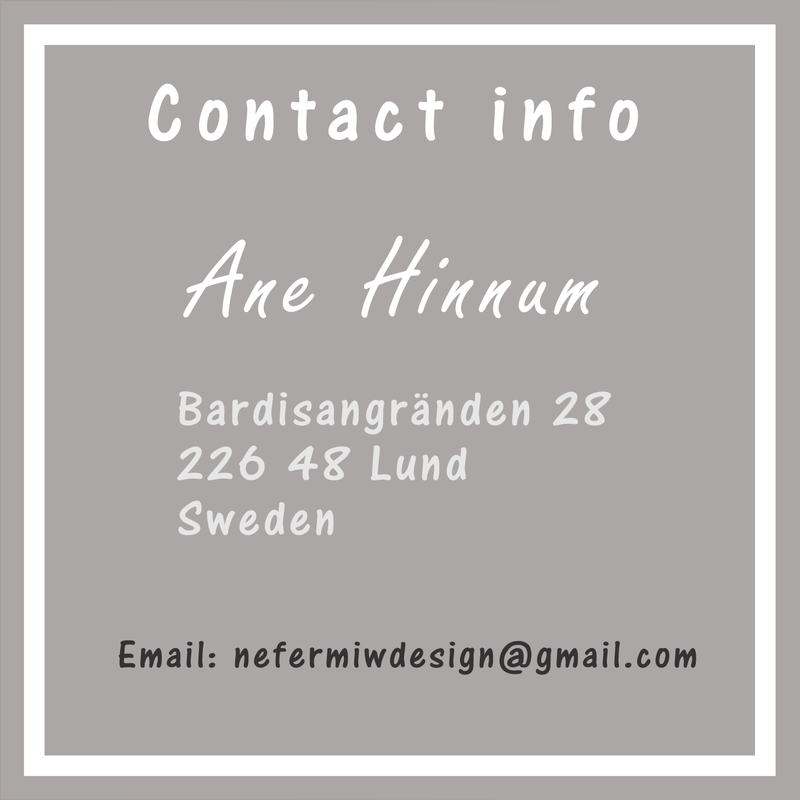 Nefermiw Design is my brand of surface pattern designs. I have always loved to be creative. My hobbies have ranged from pencil drawings and paper crafts to baking and sewing. I discovered the wonderful world of surface pattern design when I wanted to design my own fabrics for sewing clothes for my kids and soon decided to stop working as a technical drafter and instead focus my time working as a graphic designer. The name Nefermiw comes from two Egyptian words: Nefer which means beautiful/nice and miw which means cat. I am born in Copenhagen, Denmark, but now live in Lund, Sweden with my husband and two children. Besides being educated as a technical drafter, and having worked as such for many years, I hold a bachelor’s degree in egyptology. I am open to commissions – please contact me for any designs that you want made.